Gender inequality is not just a moral issue. It’s an economic and environmental one. On International Women’s Day, Catriona McLean reveals why gender equality is essential for developing greener, fairer economies. Today marks International Women’s Day. Its timing is pertinent. Today, over 4 billion people lack basic opportunities – a decent job, healthcare, an education - simply because they are young, a woman or both. Experts tell us that the gender gap won't close until 2234 - that’s over two centuries from now. All the while, sexual harassment scandals continue to reverberate across the world in a range of industries from the media to finance, from politics to the aid sector. 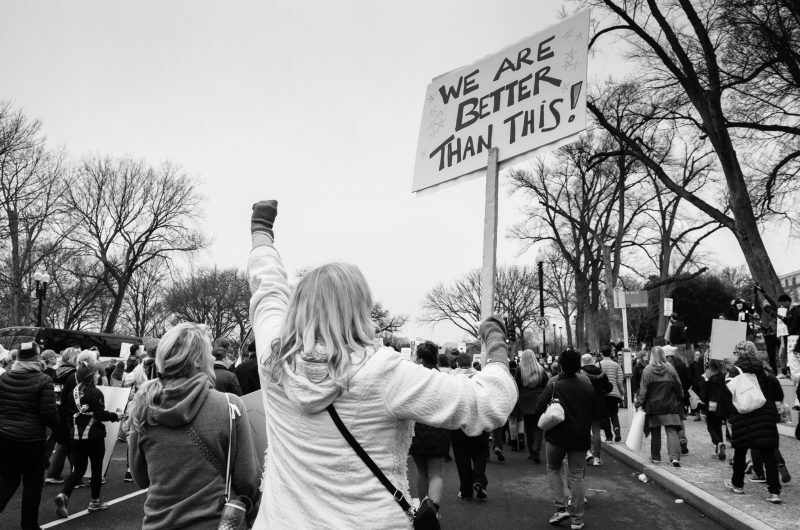 The surge in activism for women’s rights - #MeToo, #TimesUp and #StillMarching – send a strong global message: women have had enough. Fuelling the powerful sentiments driving these campaigns, there is now compelling evidence to show that reducing the gap between genders is essential for tackling humanity’s greatest challenge: to develop fair economies within our ecological limits. What has gender got to do with nature? Gender equality and environmental sustainability are two sides of the same coin - both women and the environment are undervalued in our global systems and economies. And both are essential if we are to see transitions to inclusive and sustainable economies. In the same way that the natural capital which underpins our economies is too often treated as an economic externality, so too is the unpaid work carried out by the majority of the world’s women on a daily basis. Yet unpaid care and domestic work makes a very real contribution to our economies. At the same time, women own between 10 and 20% of the world’s land yet produce the majority of the global food supply. Women consistently earn less and fewer women occupy corporate executive positions. Worldwide, the majority of women work in informal markets, mainly concentrated in the lowest-paid and least secure forms of work. And women carry out between two and ten times as much unpaid care work as men. The global value of this work each year is estimated at $10 trillion – one-eighth of global GDP. The poorest people across the world (of which women make up the majority) rely overwhelmingly on natural resources for their livelihoods and very survival. So while environmental degradation and climate change have severe consequences for all people, they disproportionately affect women and children. Gender equality is good for the economy. Recent studies find that progressing towards gender parity could increase global GDP by between US$5.3 trillion and US$12 trillion by 2025. And whether looking at governance in community institutions or global corporations, the evidence is clear that the meaningful involvement of women supports more effective institutions, decision-making, profitability and value creation. Gender equality is good for the environment. Women tend to have smaller ecological footprints than men and engage in more sustainable behaviours. Women and men approach environmental issues differently, and have different levels of use, access to and control of environmental resources. In many parts of the world women’s extensive experience also makes them an invaluable source of knowledge and expertise on more sustainable environmental management. Women around the world are powerful agents of change and can play a vital role in the greening of economies. Greener economies holds great potential to reduce gender inequalities and increase women’s economic participation. It offers the opportunity to make women’s contributions to society and the economy visible as well as to revalue them. But green policies aren’t automatically fair policies. Which is why, here at the Green Economy Coalition, we explicitly recognise that green economies must also be fair economies. Without taking a gender perspective to green economy policies and practices, the barriers to women’s participation in the brown economy risk being perpetuated in the green economy. Actions are needed to address the issues that currently impede women from economic participation such as barriers to education, lack of time, limited access to productive inputs, lack of land rights, access to finance etc. Since women are over-represented in the informal sector this should also be considered when assessing the potential for women’s participation in greening, particularly in relation to improving working conditions to ensure green jobs are decent jobs. While there are concerns that the emerging jobs in key green sectors tend to be male-dominated and highly skilled, there is also the opportunity to recognise this and support both women and men to learn new skills for green jobs. Sectors such as agriculture, forestry and energy will also be a major focus of the transition to green economy. Given their high participation in these sectors, women could use their knowledge of and dependency on natural resources to access green and decent job opportunities. In many developing countries, though often unrecognised and undervalued, women as farmers, forest stewards, natural resource managers and entrepreneurs already engage in green economic activities. How can we work better together on this? Achieving sustainable and equitable societies and economies means recognising the value of natural resources and healthy environments as well as the value of the contributions of women – as decision makers, CEOs, entrepreneurs, natural resource managers and community leaders along with their traditionally perceived roles of raising children and running households. To achieve this structural and economic changes are needed and no single approach will fit each local context or set of national priorities. Gender responsive policies need to be developed and implemented with the meaningful engagement of all relevant stakeholders – and this particularly needs the creation of space for both women and men to actively participate in and inform decision-making that affects their lives and livelihoods. Policies and actions need to assess in what ways different members of society depend upon natural resources, and how the financial and social effects (benefits and costs) of environmental policies are distributed. Only then will it be possible to ensure that these policies will increase gender equality and enhance women’s participation to make economic development more inclusive and sustainable. So, while International Women’s Day reminds us to celebrate the inspiring women catalysing change all over the world, let’s keep this conversation going to continue to #PressforProgress in the transition to green and fair economies. This blog was originally published to mark International Women's Day in March 2018.